The Anga people occupy a vast area of land in the south-eastern region of Eastern Highlands Province in Papua New Guinea, an area of rugged mountain ranges and 'kunai' grass slopes. Feared by neighbouring groups for their ferosity in warfare and, in earlier times, the tradition of cannibalism, the Anga were formerly known by the derogatory term 'Kukukuku'. In the 1960s the Anga numbered over 100,000 individuals and comprised nine different language groups. Each celebrated the different stages in life through initiation ceremonies conducted across several years, with slight variations in the ceremonies conducted and dress for these different stages among groups. Personal body adornment worn by the Anga was often made from yellow orchid stem fibre, which is made by splitting and drying the stem of the orchid (Dendrobium). 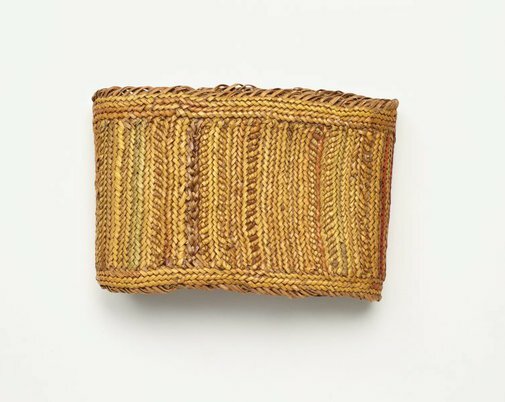 This fibre — known as 'muniri' and a highly-prized trade item — was plaited, woven and braided into a variety of objects, including headbands, chest and waist bands, and armbands. This delicate armband is plaited in fine parallel rows of subtle shades of yellow, red-brown and light brown, edged along the top and bottom with two rows of plaited orchid stem fibre. 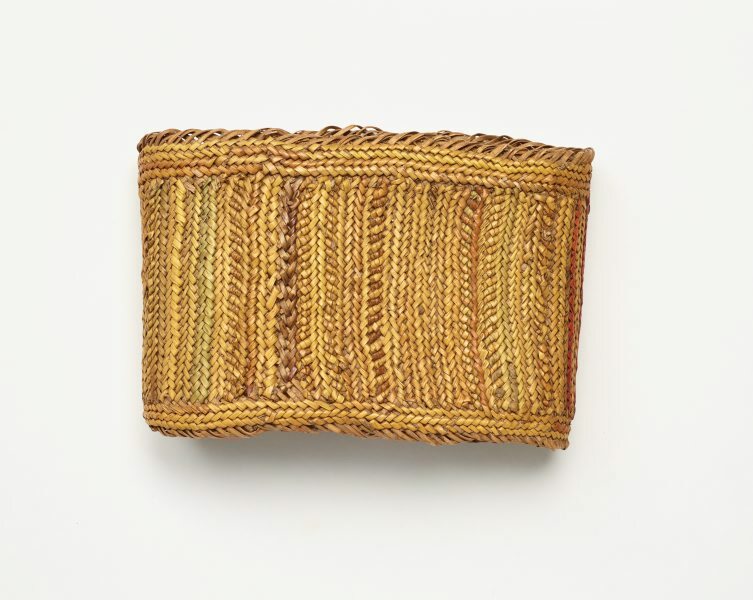 The armband resembles the tightly woven pattern seen in an orchid stem men's headband, or 'dɨza', from the Baruya people, collected by Stan Moriarty at Marawaka in 1969.